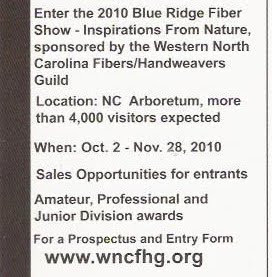 Western North Carolina Fiber/Handweavers Guild. I'm probably not going to make my January deadline, but hopefully I will have something for the Blue Ridge show. 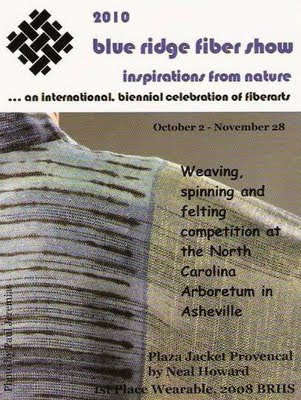 Interesting to see Handwoven/Handspun as a separate division. I would love to have something for that. I haven't woven with handspun lately and I need to, if only for a (relatively) quick weaving fix! Oh, how I wish I could be there....so very far away and from my viewpoint, very exotic!